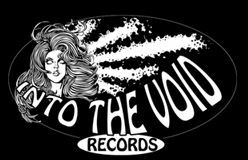 From Friday 26th to Saturday 27th February INTO THE VOID will set up a pop up shop in our last residence in the basement of Babydoll Boutique Dublin. Located on Crow Street in Temple Bar (beside the back entrance to the Foggy Dew pub and All City Records). The IRISH METAL ARCHIVE’s 5th Birthday Bash will be in Fibbers on the 26th with THE DEVEL WANTS HER SWAGGER BACK, ALPHEIDAE, PETHROPHIA and CROSSFIRE. And PRIMORDIAL‘s big headliner is in the Academy with MGLA and URFAUST… with an Aftershow Party at On The Rox!